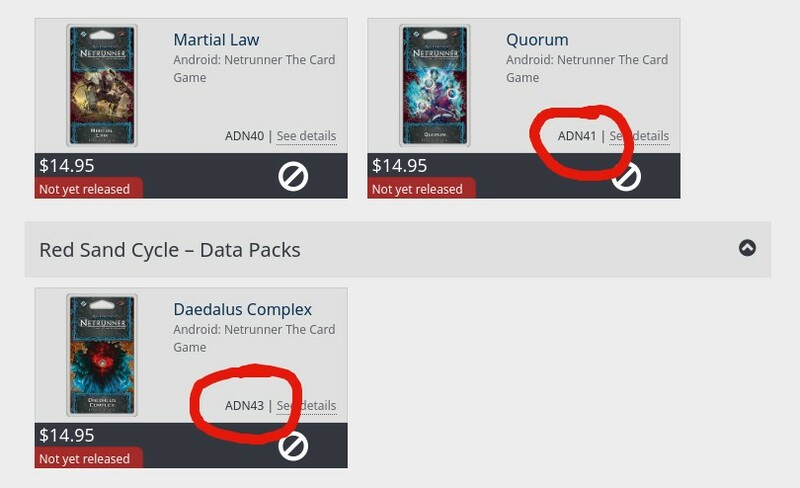 Ever since keen-eyed Netrunner fans spotted a mysterious, unannounced product in the release line-up, between Quorum and the first pack of the Red Sands Cycle, we have waited impatiently to find out what Fantasy Flight were going to slip into their Netrunner release schedule. Speculation has been running high. Would it be a refreshed Core Set taking into account the Most Wanted List changes that have come into play this year? Or could it even be a second Core Set designed to rescue some of the Runner and Corp IDs that will soon be cycled out of the game? (Here at Critical Twits HQ we thought Chaos Theory: Wünderkind, Reina Roja: Freedom Fighter and Andromeda: Dispossessed Ristie would make for quite an interesting core runner set). Well, the wait might be over! 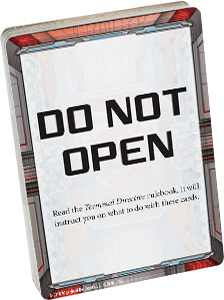 A surprise announcement on Friday introduced the Terminal Directive Campaign Expansion that takes the Cyberpunk LCG in a new and exciting direction. Ever since Pandemic Legacy dethroned the perennial Twilight Struggle from the top-spot over at BoardGameGeek we have seen a steady flow of new tabletop games embracing the secret laden, story evolving Legacy format (such as this year’s 4X seafaring offering SeaFall from Plaid Hat Games). Netrunner has always been a theme-heavy game, with an evolving story-line represented by the dramatic changes in each new cycle of cards. This year we saw the heist and resulting fallout that led to a major financial collapse within the city-state of New Angeles, and the next cycle features a transition to life on Mars and the growing unrest of the populace. The concept of Terminal Directive seems to taking this style of narrative development and putting the direction of the story in the hands of the players as they embark on the hunt for a serial killer, bringing the game back to the Noir trappings of its cyberpunk roots. 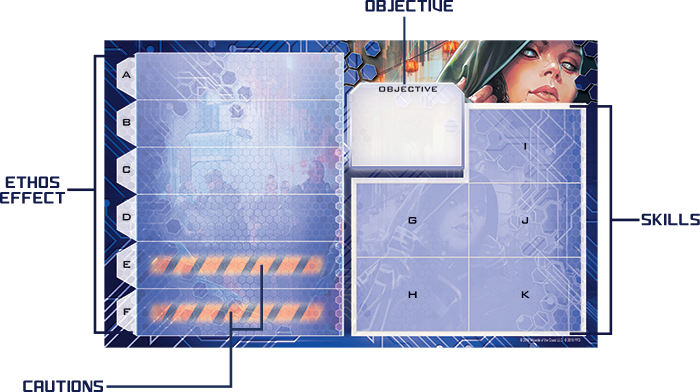 Along with sealed packs of cards, Terminal Directive will ship with a ‘PAD’ sheet for each player. Inspired by the tablet-style computers featured in the Android universe, these PADs will let you track your progress and change your skills as the campaign progresses. By placing stickers onto the PAD, it serves as a permanent log of your decisions. Brian is concerned that FFG might be trying to “crowbar” trendy game mechanics into a format that doesn’t necessarily suit the LCG mechanics of the core game and that the potential for spoilers is huge if the cards included in the set are to be tournament legal, which does seem to be the case. @DeepOmega 163 tournament legal cards. The very nature of a Legacy format game relies on the surprise of the evolving story-line and mechanics that come from opening sealed packs containing new components to drive the next phase of the plot. Making the cards tournament legal will undoubtedly lead to online versions of the game (such as Jinteki.net) including these cards as soon as they are available, taking away the element of surprise as opponents begin to incorporate them into their online decks. The spring tournament season will also be right around the corner and competitive players will need to be aware of the entire pool of cards available for deck building. A safer approach would possibly have been developing a spin-off version of the game that utilised the existing core set but introducing a dramatically different approach to playing the game without new tournament legal cards, though the incentive for current Netrunner players to purchase a set like this would be much lower. Personally, I’ll be picking up Terminal Directive on release and ploughing through the campaign as fast as possible, but for players where there isn’t much of a local scene this might be more of an issue. The longer they have to wait to get through Terminal Directive, the bigger the risk of spoilers becomes. Two of the core Runner factions, Shaper and Criminal, will be represented in the expansion along with Haas Bioroid and the big bad Weyland Consortium on the Corporation side of the table. Joe points out that this leaves the door open for a second ‘season’ with Jinteki, NBN and Anarch with possibly a mini Faction similar to what we saw in the Data and Destiny expansion last year. 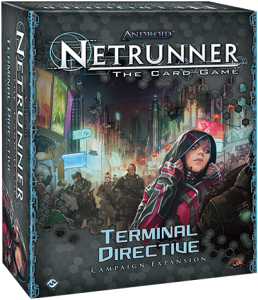 Whatever happens next, this is certainly an interesting revelation and I’ve come to trust the Netrunner team at FFG for maintaining a balanced card-pool while expanding the key cyberpunk themes that are core to the Android universe. Let’s hope that this experiment is a success that continues to pave the way for more Legacy style games and further innovation in the future. 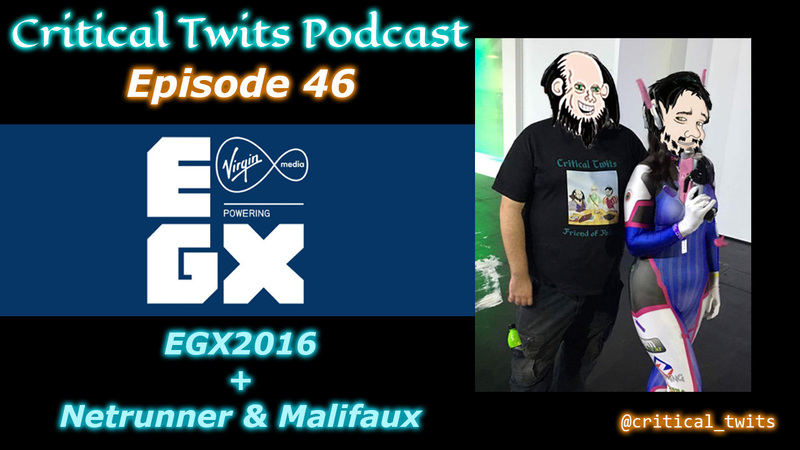 Join us on our Netrunner journey on the Critical Twits podcast on YouTube, SoundCloud or iTunes! Next story Podcast 53 – We Preview The World!